I read about the Liberation Festival and was told by Doug LaViolette that you have no idea how moving it is until you are there in person. Well, from ‘Doug’s lips to God’s ear’ it was true. The 6 days of celebrations and moving speeches is hard to capture in words. I witnessed 123 wreath laying at various memorials and each one was more moving than the last. Brian’s story was the impetus for the Scholarship of Honor award. The citizens of Plzen heard Brian’s story and were moved by the generosity of so many contributors. General Patton’s grandson, Pat Waters, was in all events and told the Brian story repeatedly with emotion and respect. 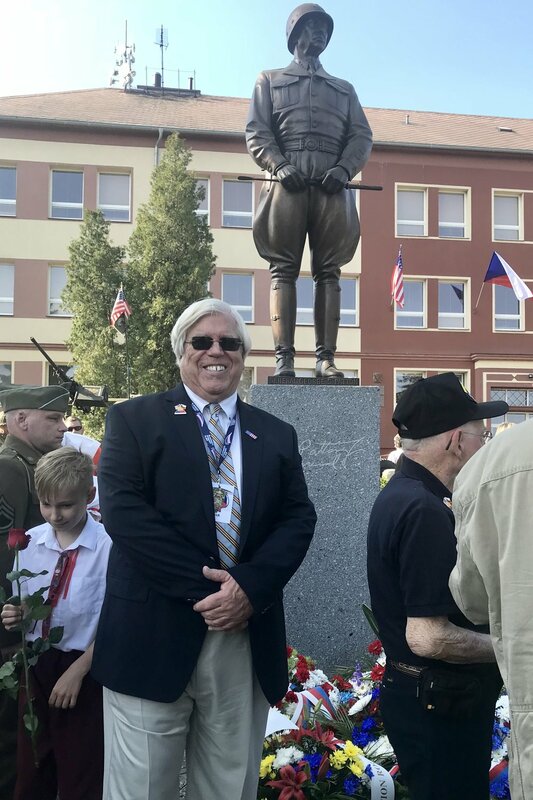 I was fortunate enough to help with a contribution to the scholarship in honor of my brother-in-law, Jim Wilson, who accompanied us to Plzen. He told me it was the highlight of his life. But what touched me the most was the unbelievable love the people of Plzen and the Czech Republic have for Americans. It was so emotional and I cried many times. I came to Plzen believing the U.S. cannot be the policemen of the world and left with the truism…FREEDOM IS NOT FREE….IF NOT US THEN WHO? . Thanks to the Brian LaViolette Foundation's Scholarship of Honor program... it changed my life. "This is someone that needs to be acknowledged"